The avant-garde turntablist and creator of complex soundscapes discusses her history and the quiet time of her present. 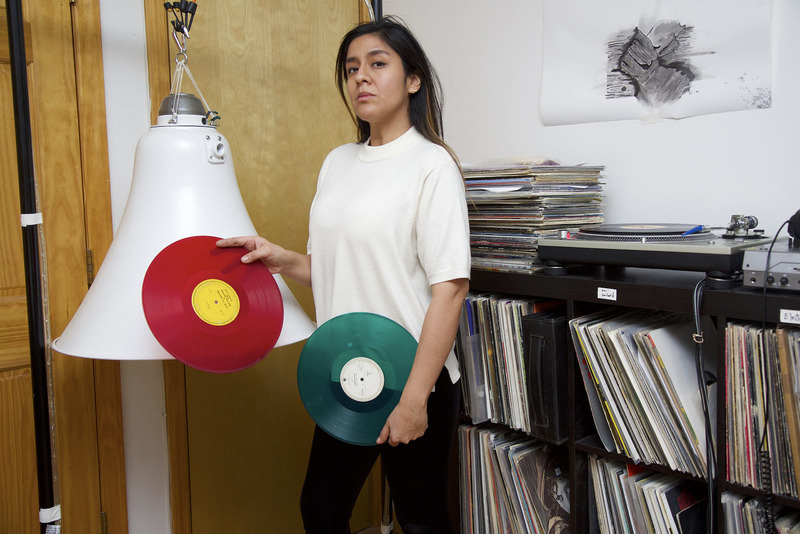 Maria Chavez is an avant-garde sound artist and turntablist, taking the turntable-as-instrument somewhere close to its logical conclusion: transcendental and strange soundscapes. 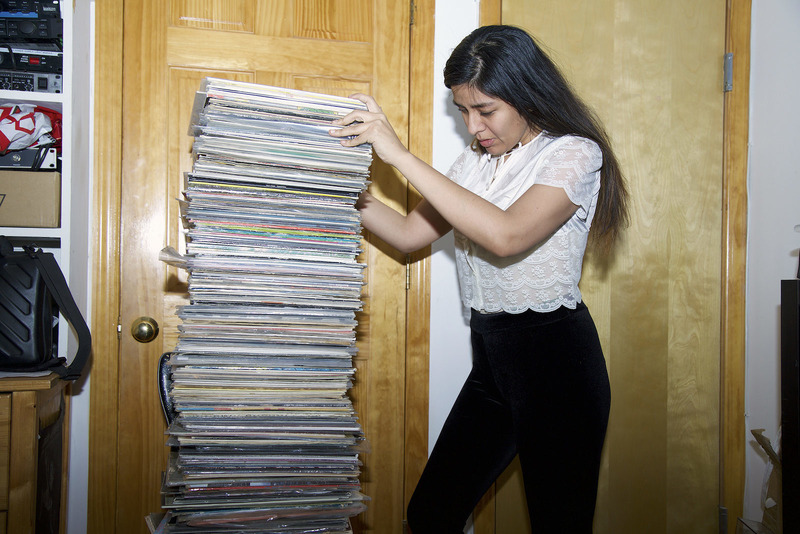 The remarkable whooshes and clicks and humming in her sound sculptures—drawn from the records she maneuvers at her turntable like a chemist in the lab—sound at times organic; other times, they’re eerie, sometimes abruptly. Like the work of the famed Maryanne Amacher (who spoke of a “third ear”), Chavez’s pieces have a solipsistic effect, as if the sound was coming from within your own brain. 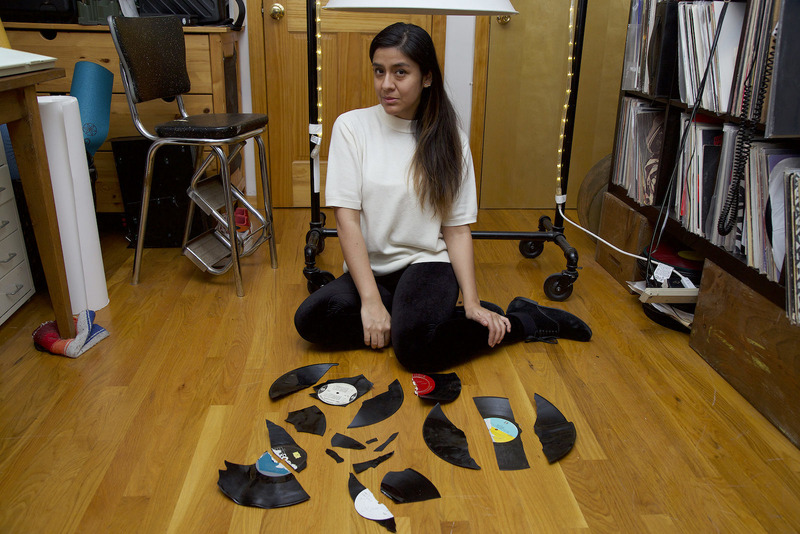 She’s not so much destroying the constitution of each record on her turntable with its needles as she is utilizing them in each way possible, until they’re dust. 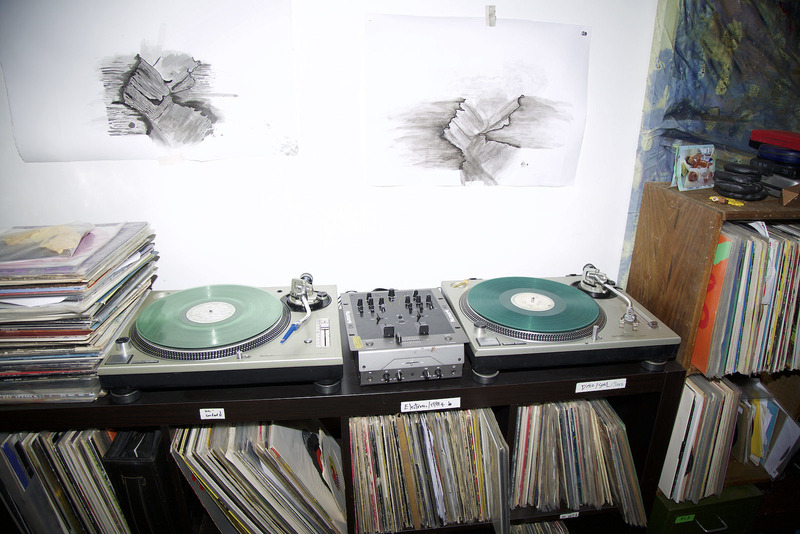 In addition to her work as a sound artist and turntablist, the Peruvian-born Chavez is a DJ and author of Of Technique: Chance Procedures on Turntable, the first book on live improvisation. She’s created pieces for Cary Hall at the DiMenna Center and Marfa Myths, composed work commissioned by the Orchestra of St. Luke’s for the Brooklyn Museum, and has been awarded both fellowship with the Civitella Ranieri Foundation in Umbria and the Jerome Foundation’s Emerging Artist Grant by New York’s Roulette Intermedium in 2008. 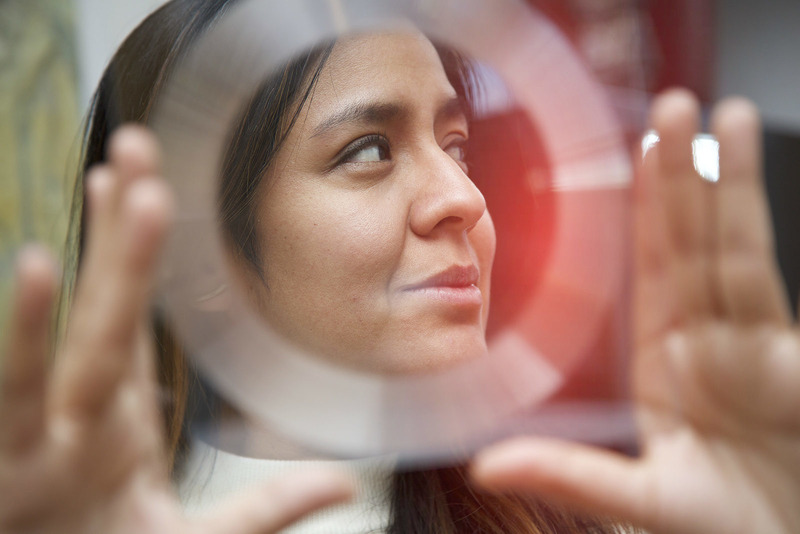 For all her accomplishments, Chavez emphasizes, consistently, the importance of failure and mistakes, and the transformations that can occur as a result. We caught up with her about her history, and what she’s been up to lately (painting, as it turns out, and patience). You became a DJ at the age of 16, but when did you first begin working with sound—even as a child? My mom used to ask my brother and I to use a hand-held cassette recorder to make talking letters for her when she had to go out of town for a long time for her job. She would play them in her room as she worked because she missed having us around. So I would make these music/talking montages for her all the time as a kid. I bet a lot of kids who were born in the early ’80s used to do that. But if you think about it, that’s pretty much what I do now as an artist. There’s obviously more to it but thinking about the parallels of that memory to the work I create now, it’s pretty funny! You’ve emphasized how difficulty and failure can be valuable, even enjoyable. How have you applied this to the movement of your life in general—and, in turn, to your practice? Failure is inevitable, so, while it’s never easy to face, performing as an improviser has helped in guiding me to remain patient and see where failure or change takes me. This kind of patience is something that I’m dedicated to cultivating now. Especially now that my mentor, Pauline Oliveros, passed away late last year, the word “patience” is heavy on my mind. She taught me so much about approaching my work with focused listening, and not with the need to be heard. It’s an important thing to think about in these times. As a performer, I think it’s a very tactile interaction with machinery. It’s almost like working with a pottery wheel, but the result is invisible and the hand gestures are more intricate, microscopic. So I don’t see it so much as a meditative state but a place of deep concentration. Failure is inevitable, so, while it’s never easy to face, performing as an improviser has helped in guiding me to remain patient and see where failure or change takes me. You work with objects that are deteriorated, forcing them to undergo this process. Can you say more about this? I value the process of deterioration in electric equipment and see the process of deterioration as a way of “sweeping through” the possibilities of that item. Once you experience an object from brand new to well used, the little irregularities that exist give that piece a personality. Every installation or artwork of mine has site sensitive properties that coincide with the idea of deterioration, allowing time to interact and make its mark. What are you currently working on these days? I’m writing a lot these days, have been painting large-scale watercolor pieces just for fun, getting so much new amazing music from very talented friends to DJ all over the place. It’s a good time. Trying to stay positive and patient. Subscribe to Ravelin’s newsletter for a dose of inspiration, magazine news, and event announcements.